12 October 2018: The First Generation students at the University of Canberra are a diverse group – but they’re all writing new chapters in their respective family histories. The University is extremely proud of this ever-growing cohort, each of them the first in their immediate families to pursue tertiary education. This year, the University of Canberra led the pack of ACT institutions in the Good Universities Guide 2019 First Generation rating, with 27 per cent of domestic students pursuing a bachelor’s degree as the first member in their family to do so. Meet some of the University’s First Generation students. Claudia Jenkins has had such a positive, validating experience at University so far that she wants to share that with the larger community. 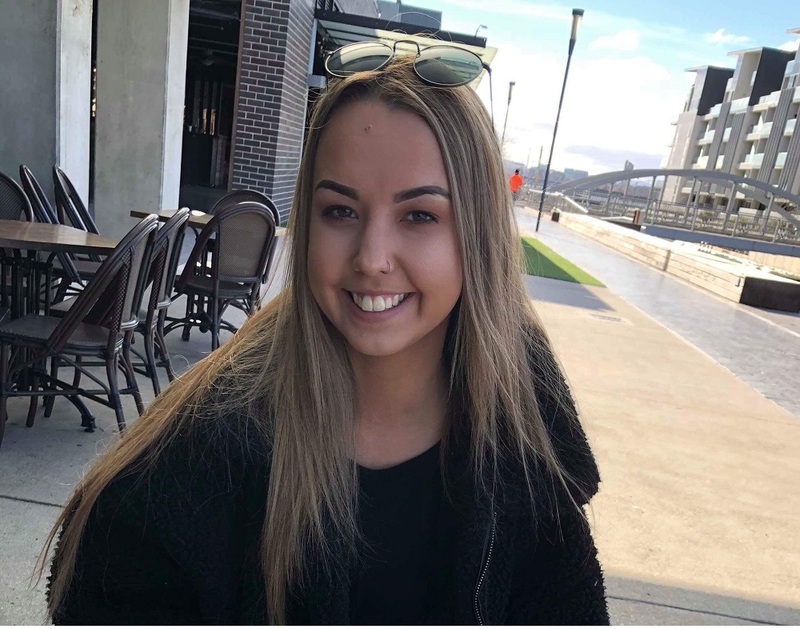 So even as she pursues her double degree in Management and Science (Psychology) at the University of Canberra, Ms Jenkins has also become an Aspirations Agent with the Widening Participation team at the University. “It’s something I’m really passionate about, that students from rural Australia know that they have the opportunity to go to university,” Ms Jenkins said. Ms Jenkins grew up in Wagga Wagga, and applied for early admission to University. Her parents and extended family were cheering for her all the way. “My parents got married and had children when they were quite young, and so didn’t have the chance to go on to university then,” Ms Jenkins said. “My dad started working at an abattoir right after Year 12, and has worked his way up to plant manager. “My mum is a teaching assistant. Mum really wants to be a teacher though, so she plans to go to uni in the future. “In fact, she attempted to enrol in (a different) university at the same time that I did, but it wasn’t something she could go ahead with because of her work schedule, plus, I have a younger brother and sister at home. But it’s still her goal for the future,” Ms Jenkins said. 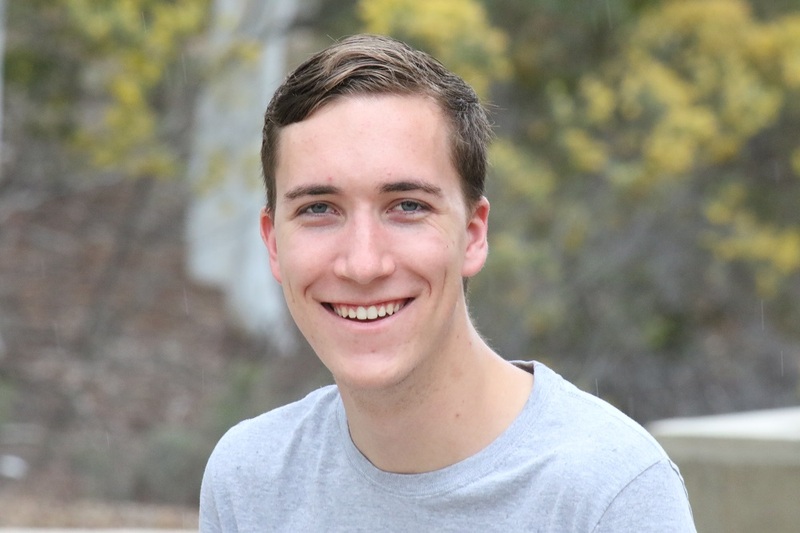 For Hayden Lenord, who is pursuing a double degree in Communications and Events and Tourism Management, education has always been a gateway to the larger world. At high school in Dubbo, NSW, Mr Lenord particularly enjoyed Maths and Science subjects. “But it was English that I ended up getting top marks for, and I won a few creative writing awards in high school as well,” he said. The first in his family to pursue a tertiary education, Mr Lenord said that his parents have been his biggest supporters on his journey to University. “My dad left school after Year 10. He did a few apprenticeships, and today he owns his own electrician business. My mum worked in various roles in office admin after Year 12, and now she’s a parole officer,” he said. “They’ve always felt that going to university would open up a world of opportunities for me, and also that it would be good for me to be out on my own. “Being a First Generation student has widened the career options I have compared to my parents. My mum always said I should go to University and get a degree that allows me to explore the world. I believe that is what I am doing now,” he said. One of the challenges Hayden faced as a first in family student was with the enrolling process. “Noone in my family knew how to enrol or how to schedule my timetable, so I ended up contacting the University and asking them how to do it. They were really helpful,” he said. Mr Lenord chose to attend the University of Canberra because he liked its proximity to home, and the appeal of the campus vibe. “It’s a good campus and I like that I can just drive for five minutes and find myself out in the middle of nature,” he said. He also enjoys the balance of social life and learning, and the University’s strong emphasis on work-integrated learning. “In my time here, I’ve interned for Groovin’ the Moo and the Canberra Raiders, and I’m currently interning with Cricket ACT,” Mr Lenord said. 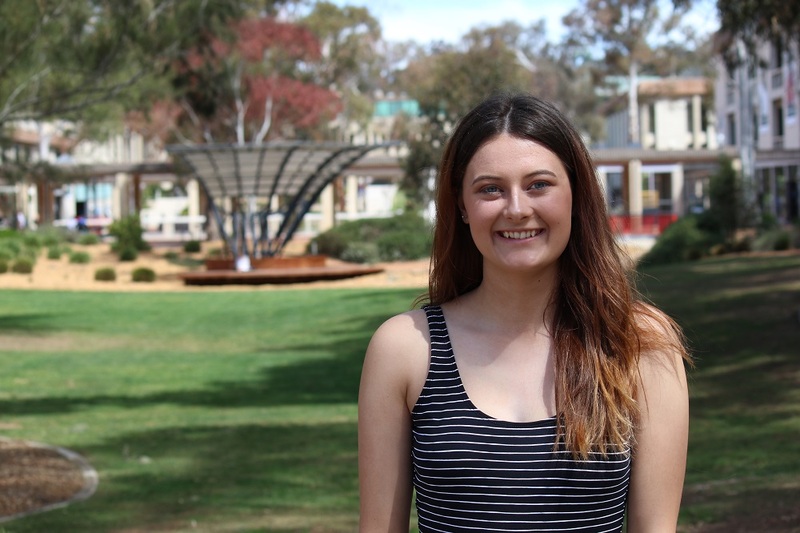 Currently pursuing a Bachelor of Science in Psychology (Honours) at the University of Canberra, Nakiesha Rodgers said that her family is very proud of her embarking on getting a tertiary education, and has been supportive from the start. “I think my family were expecting it anyway, when I said I really wanted to attend University, because I’ve always enjoyed studying,” Ms Rodgers said. In her first year, Ms Rodgers had to battle chronic tonsillitis, spending quite a bit of time in hospital. While Nakiesha’s health challenges adversely affected her motivation to study, a supportive environment and study resources kept her engaged.